"Bremsbeläge 11″ x 2″ hinten"
Brake Drum Diameter (in): 11.000 in. 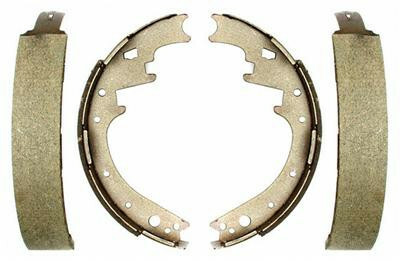 Brake Shoe Width (in): 2.000 in. Raybestos PG Plus Professional Grade brake shoes are designed to provide premium performance for everyday driving conditions. These shoes are contoured or cam-grounded, which eliminates chattering and rear-wheel lockup. Raybestos Professional Grade brake shoes' powdercoated paint helps to prevent rust and provides superior durability. Raybestos PG Plus Professional Grade brake shoes are sure to have you stopping on a dime!